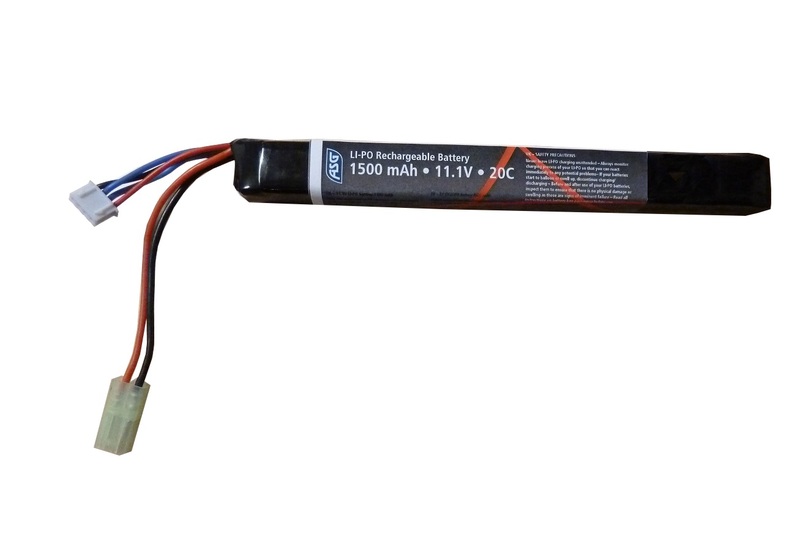 A compact 11.1V Li-Po battery with its 3-cell in one block construction, allows this battery to fit inside. Despite its small size it still packs 1500mAh. It comes in a handy storage box. •20C continuous discharge rate of 26 amps with 32.5 amp bursts. •This pack is ideal for M130 to M160 upgrades. •Replaces a 10.8V to 12V NiMH pack. •Ultra-advanced Li-Po battery technology.•180mm x 20mm x 17,30mm. When using Li-Po batteries in upgraded AEG's, it is advisable to have a total upgrade, including spring, cylinder-parts, gears and motor. Simply installing a more powerful spring, and then using a high voltage battery to power the AEG will wreck one or more components in your gearbox. ULTIMATE motors are designed specifically to power, upgraded AEG's, and are built to handle higher voltage.